In recent months, Cauca has come into the spotlight due to the escalating conflict between local tribes and the national army. The department’s security and the relative political stability will prove crucial for the future electoral success of the Colombian government. That said, the FARC’s escalated involvement in the region poses a direct threat to the relatively peaceful existence of its inhabitants. 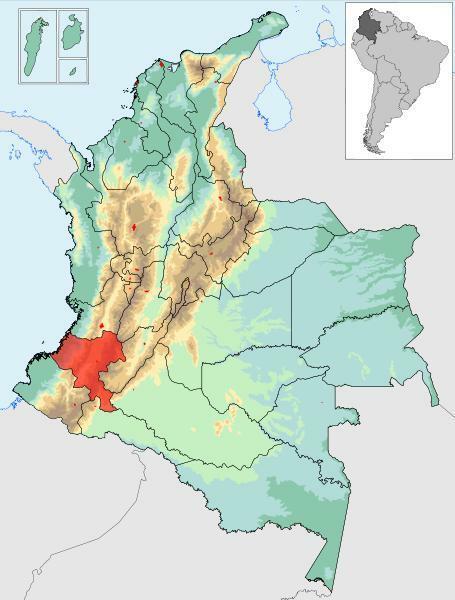 To illustrate, there were forty-two major acts of violence committed by the FARC in 2010 leading President Juan Manuel Santos to increase the armed forces in the region and create a new military base to monitor the FARC’s movement near the Toribio village. An estimated 65 percent of all homicides in Cauca occur in the rural areas of the department, so the strategic positioning of the base outside the village was a deliberate attempt to monitor the area. (6) It is fair to say that the growing number of homicides in the Cauca department has infuriated the local population and the level of condemnation has risen proportionally as residents have suffered the increased violence. On July 6, the situation deteriorated when the FARC launched several bombs that wounded two people, destroyed forty houses, and lead to the relocation of an estimated 600 inhabitants from the Miranda region. (7) Todd Howland, the U.N. Office of High Commissioner for Human Rights representative in Colombia, reported that more than 6,000 civilians had to flee the Cauca department as a result of most recent FARC attacks which caused twenty injuries and one death. 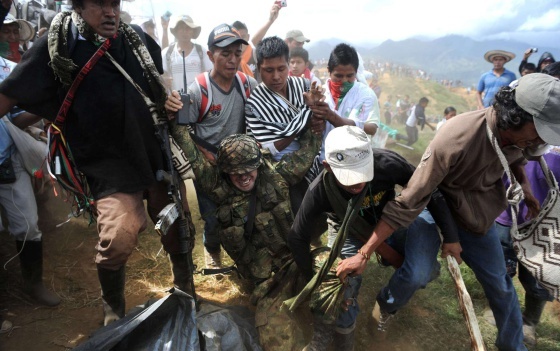 (8) These attacks, it seem, have been a “tipping point” for the indigenous population of Cauca. Given the government’s repeatedly futile responses to the situation, the local population has resorted to more drastic actions to demonstrate their dissatisfaction with current circumstances. On July 11, approximately 1,000 residents marched from Toribio to the surrounding mountains with the intention of convincing the FARC forces to leave the area. (13) Though the march did not necessarily achieve the desired results, the mobilization was an earnest demonstration of the courage and determination that it will take to achieve security in the area. On July 17, in what would become the most controversial of the indigenous protests to date, over one hundred locals marched upon the “Las Torres de Berlin” hill in an attempt to force the withdrawal of the national army units from the Toribio area. (15) In this effort to secure the demilitarization of the department, approximately one hundred men forcefully displaced the military camp by removing the army’s equipment, belongings, and even the soldiers. 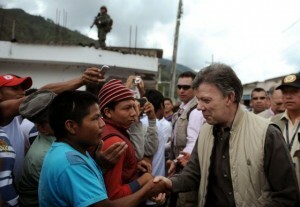 On July 18, President Santos, reacting to the escalating tensions, issued a statement emphasizing the necessity of the army’s occupation of region saying that, “the presence of the army is not negotiable.”(16) Following this assertion, Santos provided emails accusing the FARC of distributing propaganda among the local communities calling for the withdrawal of the national army force. (17) This statement, intended to undermine the legitimacy of criticisms of the government, is consistent with a traditional political strategy of tarnishing the names of opponents by associating them with the FARC. Yet President Santos’ attempt to quell the protests by delegitimizing the claims of indigenous populations has ultimately failed as they continue to voice their opposition to both the FARC’s and the military’s involvement in the region. Yet as a result of the national military’s incompetence and FARC’s incessant threats, the residents of the Cauca department have become one of the most organized tribal communities in Colombia. Their propositions include several self-protection measures against the guerrilla forces. Additionally, the Association of indigenous Villages of Cauca’s website hosts a number of legal documents supporting the call for demilitarization of the region. For example, under Article 18 of the Indigenous and Tribal Peoples Convention of 1989, the indigenous people can claim the right to prosecute unauthorized use of their land. A potential conflict resolution strategy could be incorporating the indigenous people into the national army and providing the locals with the proper information to protect themselves while serving in the Colombian army. If established, it would satisfy the indigenous groups’ desire for self-protection and eliminate the incentive for new anti-governmental armed units to be formed. Most importantly, such a strategy would help resolve the lack of trust between the army and the indigenous people. However, some point out that this could potentially provide the armed forces with opportunities for abuse. Regardless, “mixed” or entirely sovereign indigenous battalion units could help foster the development of a positive relationship with local communities while the military forces could continue its fight against the guerrilla army and remain in the Cauca department. Repeated governmental failures to safeguard indigenous lands have incentivized locals to unite and demand their Constitutional right to security. The military’s role has been primarily authoritative and reforms have not been sufficiently democratic or transformative enough for any improvement in the system to take place. 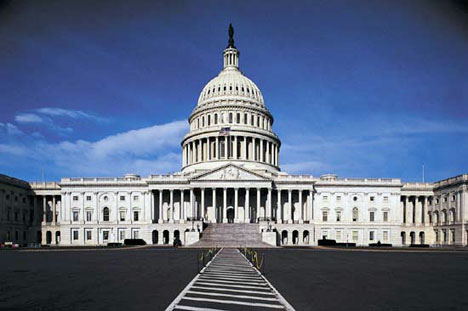 The most recent example is a proposal calling for a judicial reform, aimed at expanding the military’s jurisdiction to investigate and to prosecute any alleged human rights crimes committed by security forces. The initiative was withdrawn in February 2012 after it was highly criticized by human rights bodies along with similar organizations. 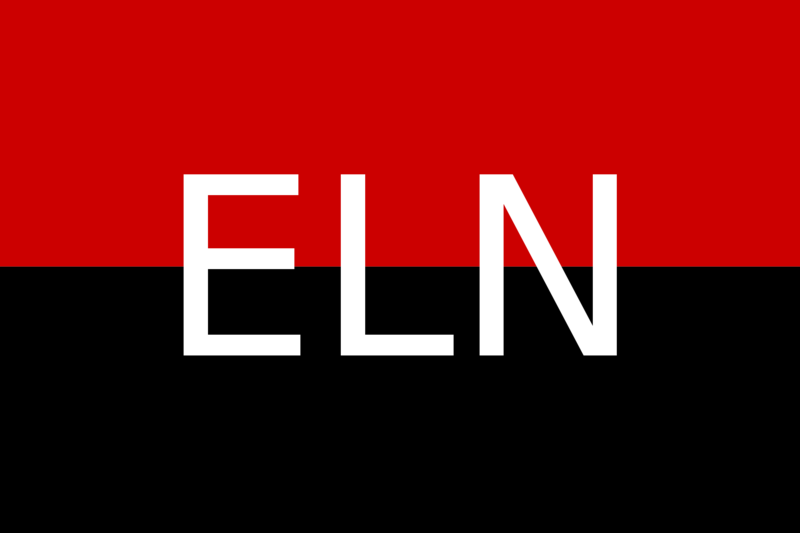 President Juan Manuel Santos must understand the serious implications that the army’s human rights violations would have for the Colombian government on all levels, especially regarding its relationship with the United States. It must be noted, however, that the human rights track record of the military is significantly better than that of the FARC; nonetheless, Santos must continue pursuing reforms in the direction of democratizing the army. In order to arrive at an answer to the ongoing security problem in the Cauca valley, a through examination of the roots of the conflict will prove essential. The most effective solutions addressing the situation will inevitably involve the rebuilding of trust between the Colombian military and the indigenous groups of the region as well as the cooperation between communities and the army in the fight against the FARC.